As a barrier island, the Town of Seabrook Island boasts more than 3.5 miles of pristine, sandy beaches. Popular with residents and visitors alike, our beaches are of critical importance to local wildlife. Portions of the beach have been designated by the U.S. Fish and Wildlife Service as a critical habitat for the federally threatened piping plover and loggerhead sea turtle. In order to protect public safety and preserve the beach's natural beauty, the Town Council has adopted a comprehensive list of beach rules. These rules are summarized below. 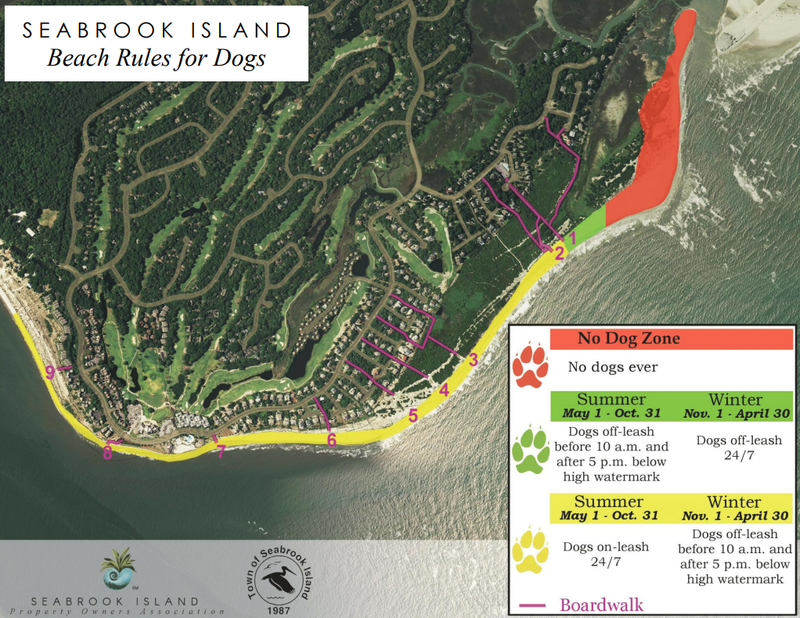 ​Your continued observance of the town's beach rules will ensure that the beaches of Seabrook Island remain safe, secure and pristine for all residents, visitors, pets and wildlife to enjoy! ​“Chumming” on or within 600 feet of the beach. Seabrook Island’s beaches are pet friendly! Pet owners are asked to follow the town's leash requirements to ensure that all users can have a safe and pleasant beach experience. Pets are prohibited at all times between the designated off-lead area and Captain Sams Inlet, regardless of whether on or off lead. During the peak season, the beaches of Seabrook Island are actively patrolled by code enforcement officers with the Seabrook Island Beach Patrol. Individuals who are found guilty of violating any ordinance of the town may be subject to fines up to $500 per offense.